WE SHIP CUSTOMS-FRIENDLY WORLDWIDE !!!! 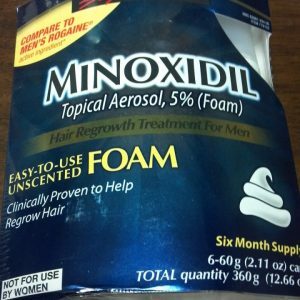 For the temporarily relief of minor aches and pains due to: headache a cold arthritis muscular aches sinusitis toothache premenstrual & menstrual Warnings Reyes Syndrome: Children and teenagers who have or are recovering from chicken pox or flu like symptoms should not use this product. 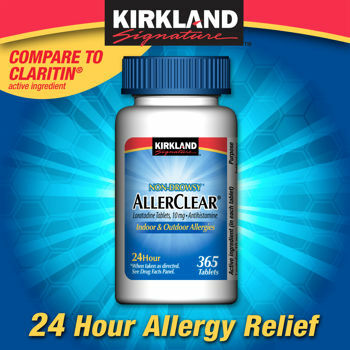 When using this product, if changes in behavior with nausea and vomiting occur, consult a doctor because these symptoms could be an early sign of Reye’s Syndrome, a rare but serious illness.Allergy Alert: Aspirin may cause a severe allergic reaction which may include: hives facial swelling asthma shock Liver Warning: This product contains acetaminophen. 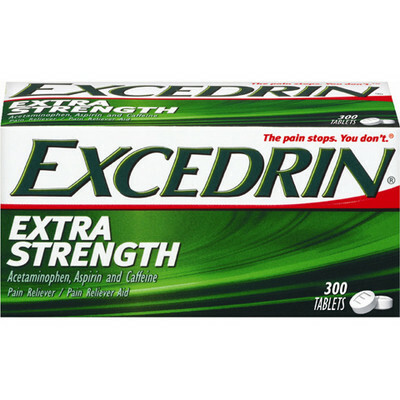 Severe liver damage may occur if you take more than 8 caplets in 24 hours, which is the maximum daily amount with other drugs containing acetaminophen 3 or more alcoholic drinks every day while using this product Stomach Bleeding Warning: This product contains an NSAID, which may cause severe stomach bleeding. The chance is higher if you are age 60 or older have had stomach ulcers or bleeding problems take a blood thinning (anticoagulant) or steroid drug take other drugs containing prescription or nonprescription NSAIDs (aspirin, ibuprofen, naproxen, or others) have 3 or more alcoholic drinks every day while using this product take more or for a longer time than directed Caffeine Warning: The recommended dose of this product contains about as much caffeine as a cup of coffee. 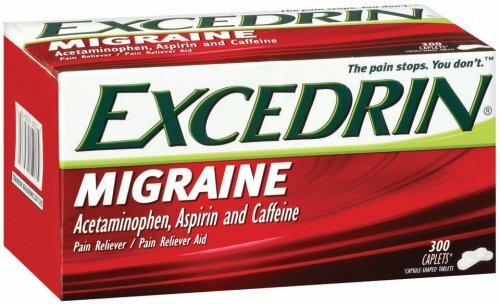 Limit the use of caffeine-containing medications, foods, or beverages while taking this product because too much caffeine may cause nervousness, irritability, sleeplessness, and, occasionally, rapid heart beat. 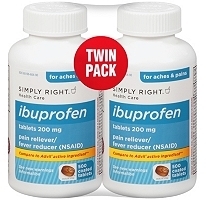 Do not use if you have ever had an allergic reaction to acetaminophen, aspirin or any other pain reliever/fever reducer with any other drug containing acetaminophen (prescription/nonprescription). 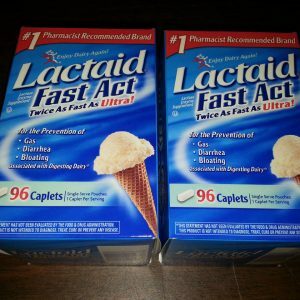 If you are not sure whether a drug contains acetaminophen, ask a doctor or pharmacist Ask a Doctor Before Use If You Have: liver disease stomach bleeding warning applies to you you have a history of stomach problems, such as heartburn you have high blood pressure, heart disease, liver cirrhosis, or kidney disease taking a diuretic asthma Ask a doctor or pharmacist before use if you are taking any other drug containing an NSAID (prescription or nonprescription) a blood thinning for (anticoagulation) or steroid drug a prescription drug for diabetes, gout, or arthritis any other drug, or are under a doctors care for any serious condition Stop use and ask a doctor if: an allergic reaction occurs. Seek medical help right away. you experience any of the following signs of stomach bleeding; feel faint, vomit blood, have bloody or black stools, have stomach pain that does not get better ringing in the ears or loss of hearing occurs. painful area is red or swollen. pain gets worse or lasts for more than 10 days. fever gets worse or lasts more than 3 days. any new symptoms occur If pregnant or breast-feeding, ask a health professional before use. 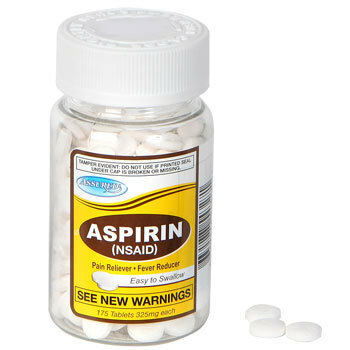 It is especially important not to use aspirin during the last 3 months of pregnancy unless specifically directed to do so by a doctor because it may cause problems in the unborn child or complications during delivery. Keep out of reach of children. In case of overdose, get medical help or contact a poison control center right away. Prompt medical attention is critical for adults as well as for children even if you do not notice any signs or symptoms.